Whilst having a copy of your schedule, along with spare travel details stored on your laptop or tablet, it is often useful to have them in paper format as well. Your travel documents should include a copy of your itinerary, emergency contact information, and any other documents such a car hire details, just in case you lose your phone or run out of battery. TOP TIP - Often check in to a lounge? Why not enrol for a yearly Lounge Club membership? Lounge Club is an independent airport lounge program that provides its members with access to airport lounges around the world. They provide access to over 350 airport lounges in over 200 airports worldwide for members and their guests. Packing for a business trip isn't easy (see our tips for stress free packing for your next business trip) and size really does matter! When selecting the size of your luggage choose wisely. If you are only making a short trip, do you really need that extra cost of a bag checking into the hold? If not..why not opt for a cabin bag? just remember to check in advance that the bag meets the size regulations of the airline you're flying with, and if you can also take a handbag or laptop bag on board alongside. Travelling on business will often involve lots of different settings from formal meetings to evening events, but when making a good impression is paramount, flexibility is key. Pack a few staple wardrobe items which will allow you to create multiple looks suitable for taking from day to night without using up all the available space in your luggage. 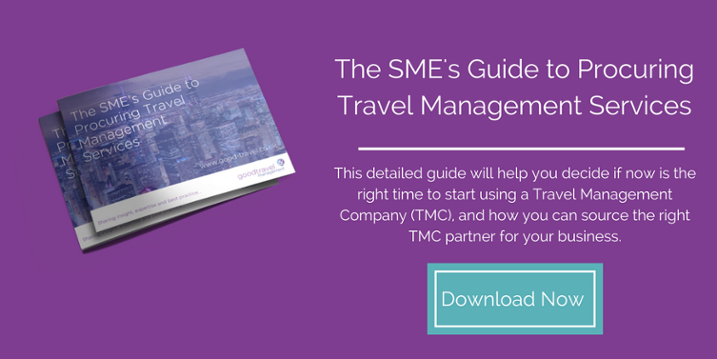 When planning a business trip overseas, It’s a dilemma for many business travellers as they weigh up the changing costs of travel with the fact they are reliant on getting the necessary entry permits in place. By enlisting the help of a Travel Management Company to support your passport and visa applications on your behalf, it will make the process of door to plane much easier. We all love a freebie… whether it’s collecting the stamps at your favourite coffee shop or your supermarket loyalty card – everybody likes to get more value for their money. Booking flights are no different, and although the majority of people know about frequent flyer points and how they can be spent to book new flights or upgrade to a higher class of a pre-existing booking, not all are aware of the airline memberships schemes offered to the actual company rather than the individual travellers. For some companies, it makes sense to join a certain airline scheme for an airline your business travellers use the most, and if you currently switch between airlines, depending on your overall travel spend it may be worth choosing to stick to one airline where possible to ensure you earn as many points as possible. 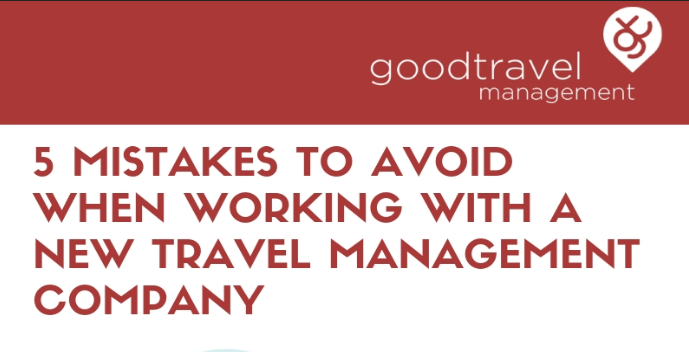 Businessmen and women who travel frequently will often revert to using the same choice of Hotels when booking for their next trip, whether that be with their travel management company (TMC) or booking for themselves. This is down to two reasons - convenience and preference. But what if making the same choice of Hotels could not only provide well-being for your traveller but also save money and generate perks in the long run... Hotel loyalty programmes work similarly to the corporate rewards schemes offered by airlines and are totally free. It may sound like a cliche but you can’t put a price on peace of mind, especially when travelling from A to B in a foreign country. Booking your flight and a hotel is a must, whether that's done through a dedicated corporate travel agency or yourself. Some travellers tend to forget one important factor….transfers! Pre-booking transfers in advance of travel from the airport to your hotel or meeting eliminate the stress of securing immediate transport when you arrive at your destination. Not only will you avoid long taxi queues, but you will also avoid being paying over the odds as well. Wanting to undertake the driving yourself? Think about what specific needs you may require when hiring a car, and make sure you fully research the driving laws and regulations of the country you are visiting. It’s also a good idea to double check the equipment included in the car rental and assess if there are any extras which will be paid with the cost of the hire. There are many benefits to using a Business Travel Agency for Car Hire requirements, they can negotiate favourable terms with a specific car hire supplier, meaning it is clear what is included right from the start and your corporate travel spend and budget doesn’t exceed its initial expectations. Becoming ill on a business trip is something no corporate traveller wants! This is why careful planning along with keeping healthy not only through diet, but through exercise too is essential. Travellers need to ensure they are fully aware of the additional health risks of travelling to their destination, as well as the vaccination requirements. This is to protect against illness/disease situations across the world. Travel Management Companies should be used as a guide, but you can also check if you require a vaccination for your destination by checking the MASTA Travel Health Checker website. TOP TIP - Some business travellers take a tennis ball with them whilst travelling to be used in the same way a foam roller would. It's a great way to release your muscles from stiffness or soreness, whilst increasing blood flow. It's perfect for a flight environment and can be easily placed under your thighs or under your feet to release tension. There are a plethora of Apps around the market for Business and Leisure Travellers Alike. Google Translate App - An absolute game changer! The Google Translate App has real advantages when a language barrier arises when ordering a meal or asking for a location on public transportation. The voice command feature enables users to speak in their chosen language with the in-app vocals repeating in the choice of language you require. No internet access? No problem! You can download a language library to use whilst offline. OpenTable - Travelling for business makes for hungry work! With the OpenTable app you can search for nearby restaurants, check out reviews and even make a reservation all within one platform an absolute lifesaver when you're in a hurry and all you have eaten is the meal on board the flight. 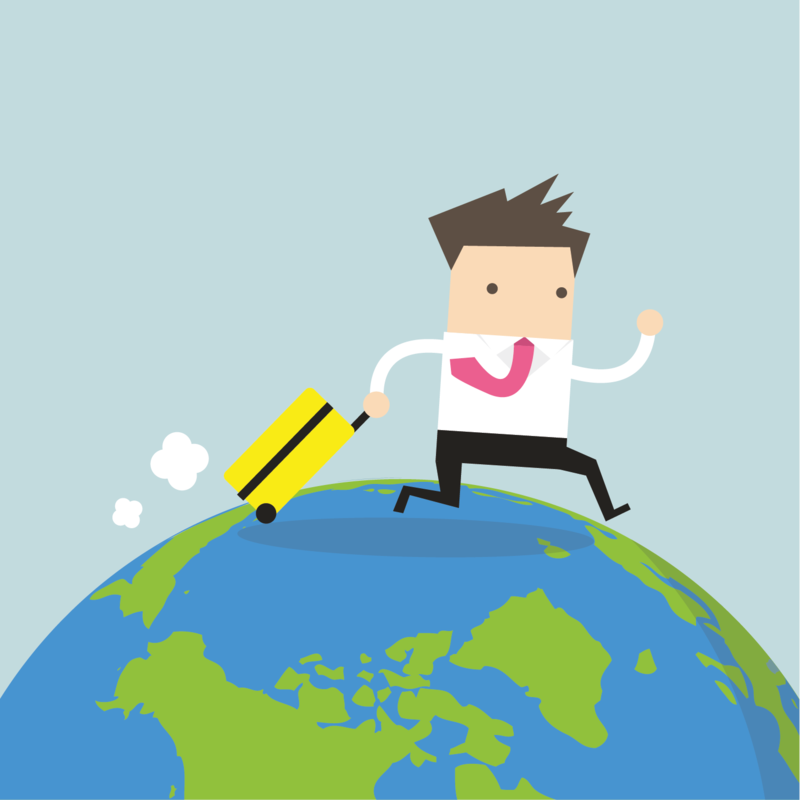 Traveller Well-being isn’t a new topic, along with traveller friction, the wear and tear your travelling workforce goes through can be detrimental to not only company culture, but productivity too. 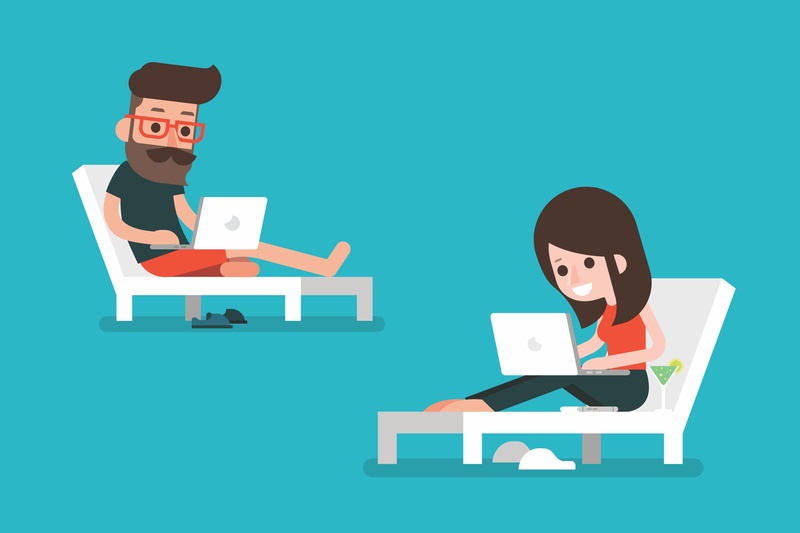 Companies are already increasingly looking at ways to make workforce's happier within the workplace, changes to policies on areas such as paternity leave, flexible working hours, standards of business travel or “Bleisure” time to name a few. With Traveller Well-being at the forefront of businesses minds, “Post Trip Duvet Days” are becoming increasingly popular. Similar to the “Bleisure Concept” (the art of tagging on some leisure time to end of business trips) instead of adding extra travel time, you tag on an extra day of rest upon return to benefit the employee. We hope the above list of tips, apps and hacks help you on your next business trip. If you have any tips you’d like to share then get in touch! We’d love to hear from you!